Divided in their views over the labor market, most Federal Reserve officials last month ultimately listened to Chair Janet Yellen's argument for holding off on a rate hike, for now. "A growing number of committee members are pulling in the direction of hiking, so it's becoming increasingly harder for Yellen to hold them back," said Roberto Perli, partner at Cornerstone Macro LLC in Washington and a former Fed economist. At their Sept. 20-21 session, the Federal Open Market Committee voted 7-3 to leave interest rates unchanged. Minutes released Wednesday showed "several" of those who supported the decision to wait on tightening policy said the decision was a "close call." Several also indicated it would be appropriate to raise rates "relatively soon." Following the minutes' release, investors continued to see about a two-thirds chance of a rate increase in December, based on prices in federal funds futures contracts. They assigned a 17 percent chance to a move in November, when the Fed meets a week before the U.S. presidential election. Investors will get a chance to hear directly from Yellen on Friday when she speaks at a Boston Fed conference. 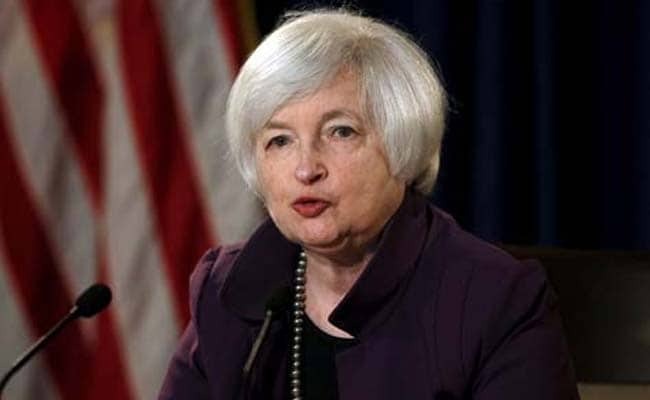 The official title of her remarks is "Macroeconomic Research After the Crisis," which leaves open the question of whether she will comment on the outlook for the economy and monetary policy. The record of the September FOMC meeting revealed a sharp debate over the potential impact of keeping rates ultra-low on the labor market and inflation. One camp warned this risked driving unemployment too low, possibly triggering much higher inflation and forcing the Fed to raise rates more drastically, a tack that has historically led to a recession. An opposing group argued that more slack remains for the labor market outside the official measure of unemployment. Holding off on an increase, they claimed, could help draw people who had previously given up looking for jobs back into the work force. That would allow for continued job growth without a surge in wages and inflation. Thomas Costerg, senior U.S. economist at Standard Chartered Bank in New York, said the latter camp can point to the fact that through most of 2016, measures of unemployment remained essentially flat and the participation rate modestly climbed, even as the economy added jobs at a healthy clip. The participation rate is the proportion of working-age people employed or actively looking for jobs. "The biggest surprise recently is this increase in the labor force participation rate," Costerg said. "The doves say: 'Look, there's more running room there.' And I think the hawks are a bit disoriented and don't know what to do, how to interpret this." It also helped the doves that they had Yellen in their corner. The argument against a hike laid out in the minutes echoed Yellen's comments at her Sept. 21 press conference following the FOMC meeting. She stressed that recent steadiness in labor force participation suggested the job market recovery has room to run. "That argument is prominent in these minutes," said Michael Feroli, chief U.S. economist at JPMorgan Chase & Co. in New York. "It does feel like it has her fingerprints on it." That doesn't mean Yellen will necessarily be working to hold her colleagues back from a move in December. Perli, at Cornerstone Macro, added the September decision may even have been a close call for Yellen herself. He pointed to a portion of the minutes that read: "It was noted that a reasonable argument could be made either for an increase at this meeting or for waiting for some additional information on the labor market and inflation." Perli said the "it was noted" language frequently reflects a comment from the chair. That suggested Yellen could have gone either way, "but in a close call, like several others, she leaned toward staying on hold for now," he said. Donald Trump Calls US Federal Reserve His "Biggest Threat"